Bologna is a great base for visiting other cities in northern Italy’s Emilia-Romagna region. From Romanesque and Renaissance monuments to foodie adventures and fast cars, Emilia Romagna has a lot to offer. These smaller cities, all bicycle friendly, can be visited by train from Bologna and their historic centers can be reached from the station on foot. In addition to these Emilia-Romagna destinations, the city of Florence in Tuscany is 35 to 60 minutes by train. Modena is home to Ferrari, Balsamic vinegar, and a beautiful 12th century Romanesque cathedral. Its medieval city center is a delight to explore on foot. Most monuments are around Piazza Grande, the main square. Several good museums are housed in the Museum Palace including the Estense Art Gallery and Library, the Archaeological Ethnographic Civic Museum and the Civic Art Museum. Exotic car lovers won’t want to miss a visit to the Enzo Ferrari House Museum, a short walk away. Modena, northwest of Bologna, is only a 20 – 30 minute train ride. 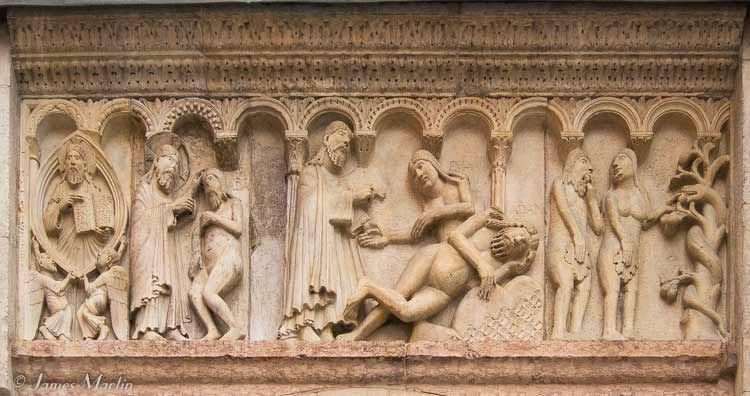 Carvings on the Romanesque Cathedral of Modena. 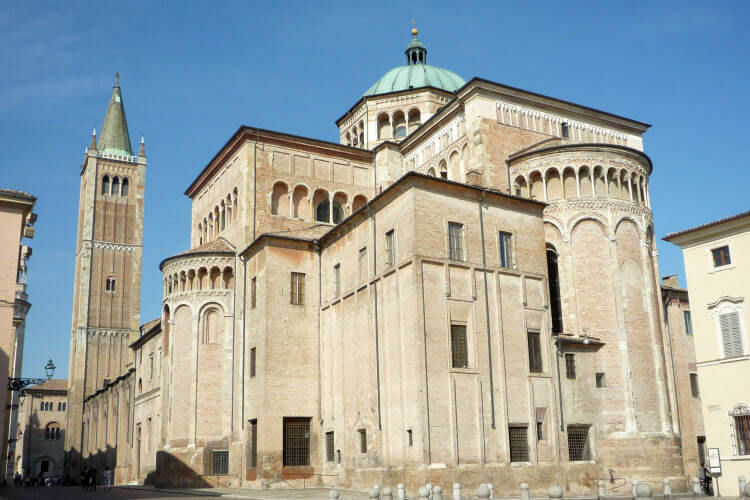 Parma is known for its production of Parmigiano-Reggiano cheese and the famous ham, prosciutto di Parma, but its historic center has great examples of Romanesque architecture, including the 12th century cathedral that’s filled with stunning frescoes. The 18th century Governor’s Palace, Palazzo del Govenatore, has a beautiful facade and a bell tower with a fascinating astronomical clock. Stroll in the Ducal Park and visit the 16th century Ducal Palace that’s decorated with beautiful frescoes. Parma has good food markets, wine bars, and restaurants where you can try the local products as well as museums and a top opera house. Parma is on the same rail line as Modena, 50 – 70 minutes from Bologna. 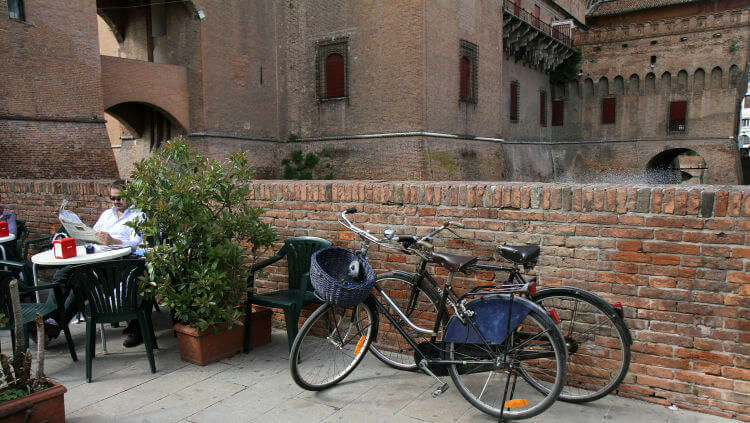 Ferrara, north of Bologna, is a Renaissance town surrounded by walls that you can bike or walk around. Its picturesque 14th century castle dominates the historic center and there’s an interesting 12th century cathedral thatâ€™s a mixture of Romanesque and Gothic styles. The Church of Sant’Antonio in Polesine has beautiful 13th – 14th century frescoes. 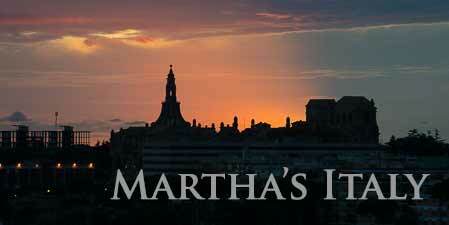 The city was ruled by the Este family from 1208 to 1598, and under them it became a center for the arts. Ferrara is a great place for walking or biking or just sitting in a cafe relaxing and taking in local life. Train travel to Ferrara from Bologna takes 20 to 45 minutes. 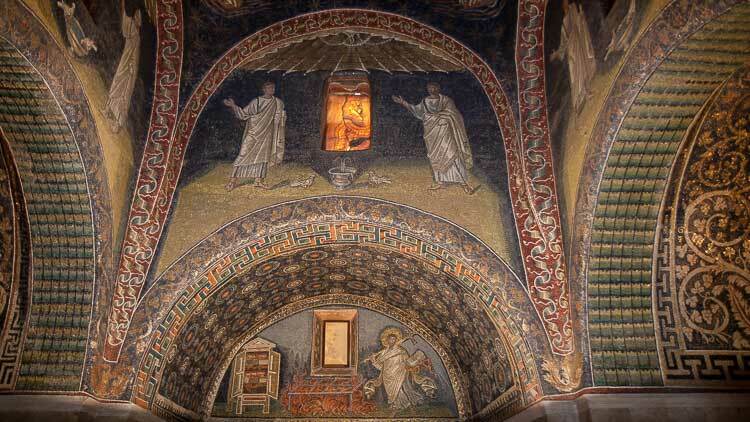 Ravenna is known for its stunning Byzantine-style early Christian mosaics inside its churches and monuments from when it was the western capital of the Roman Empire and of the Byzantine Empire in Europe in the 5th to the 8th centuries. Once a lagoon city, the canals were covered over in the fifteenth century creating its elegant central square, Piazza del Popolo. The Domus dei Tappetti di Pietra, House of Stone Carpets, is a Roman site under the Church of Saint Eufemia and there are several museums to visit. 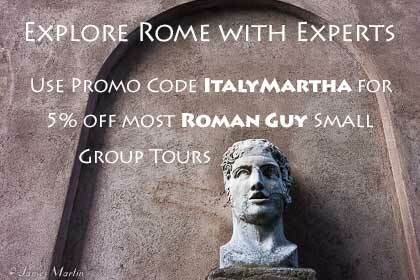 Ravenna is still a top producer of mosaics and you’ll find several shops in town. Ravenna, east of Bologna, is 1 – 1.5 hours by train. It’s near the coast so if you’re looking to go to the beach, you can get to Marina di Ravenna by bus. 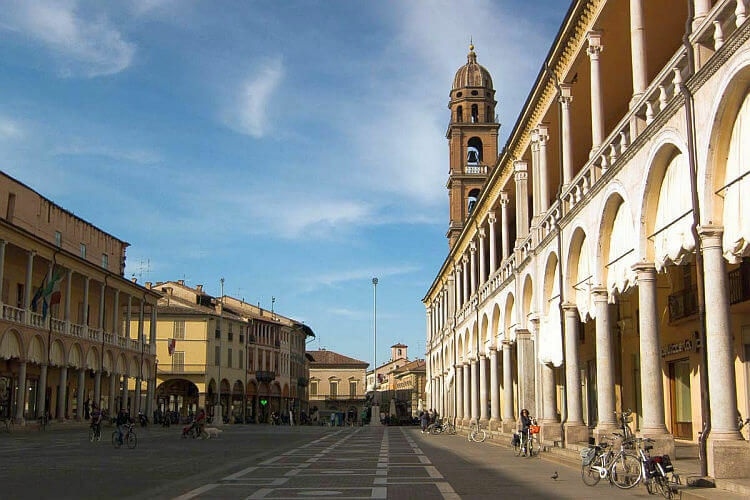 Faenza is a small town with a large main square that has walkways covered by porticoes. It’s known for its top international ceramics museum that has good displays of historical ceramics as well as local ceramics. Faenza is still a center for ceramics and in town you can find several ceramics shops. Faenza, southeast of Bologna, is 25-45 minutes by train. The quickest train times shown are usually on Intercity or fast trains that cost more and include seat reservations while the slower trains are regional trains. If you’re traveling by regional train you may need to validate your train ticket before boarding the train to avoid a fine. Book train tickets for fast trains on Rail Europe. See these cities and more places to go on our map of the Emilia-Romagna region. The first 4 cities are designated as UNESCO World Heritage Sites.